What fabulous weather we are having in the UK at the moment! Yesterday, we took my elderly parents for a picnic in the grounds of their retirement apartment (probably the only public place that wouldn't be so crowded we could be sure of finding a bench!) and we actually needed sun cream! Definitely a first for 2014! 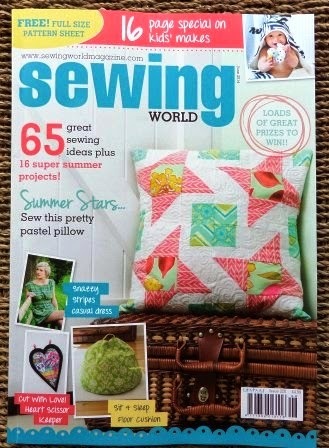 The June issue of Sewing World arrived on my doorstep the other day, with my heart-shaped scissor keeper in (you can see a tiny picture of it on the front cover, if you look closely at the bottom left corner). I love the print fabric from Wholeport on the Sewing World version (follow the link if you'd like to buy it!). I used a pair of old jeans for the black fabric which backs it. For Craftseller I've been making more cards with their free papers. 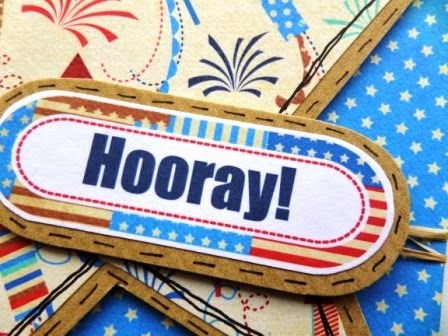 These papers are very kind of fourth of July in their inspiration - they'll be given away with issue 39. The whistle will be used to call him back when he's free running (off the lead) in a park or open ground. 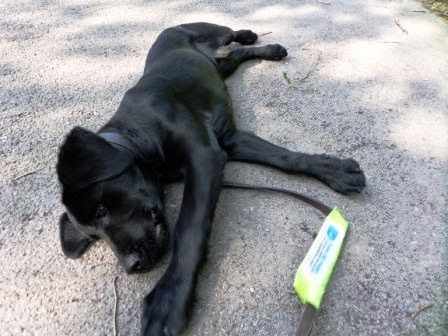 Even working dogs need some playtime, but if you are blind you need to be really confident your guide dog will come back to you! 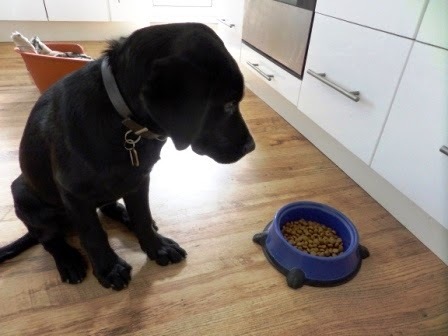 So the whistle is strongly linked to food quite early on - hopefully ensuring the dog will return! We've tried the whistle when he's in the garden, and the first time was quite comical. My son was playing tug and chase with him and when the whistle sounded Quentin immediately froze, looking quite startled. He then ran as fast as his little legs would carry him for his food (which I had prepared in secret, while they were out walking - he can hear his food cupboard door from the bottom of the garden!). The next stage will be recalling him with the whistle when he's off the lead in a park. This has to be done under supervision the first time - which will be in a couple of weeks. 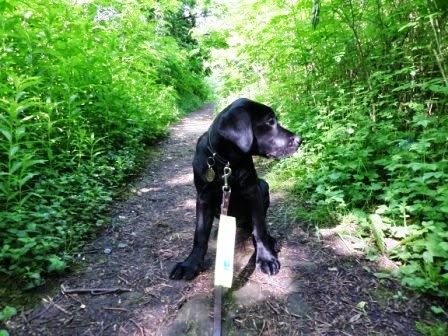 In the meantime, he stays on the lead for walks, but is allowed pretty much everywhere now, since his vaccinations. 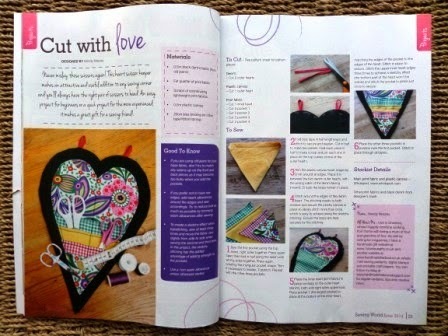 your scissor keeper is such a great make and i love the updated version with that gorgeous fabric! It is great to see all your Craftseller projects and hearing how the puppy training is going, I look forward to every weeks post. Lovely scissor holder. Quentin is adorable, he looks like he will be a wonderful companion for someone. Missed the deadline this week, late back from a day out and exhausted. It looks like you've had another busy week. 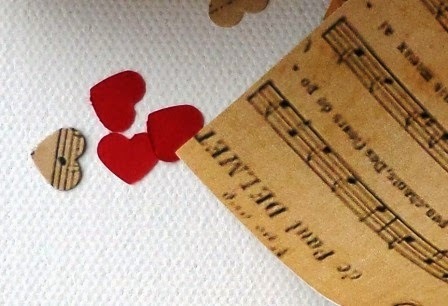 I wonder which takes up most of your time, training Quentin or making lovely things for the magazines. I always love looking at your creations.